Which Super-Fight Would You Rather See In 2019: Canelo Golovkin III or Mayweather Canelo II? A while back, a piece ran right here on ESB, asking for superstar Floyd Mayweather to face Canelo Alvarez, in a rematch, up at middleweight, if he insists on fighting again; and not Manny Pacquiao. Well, it’s fair to say this idea fell flat on its face. Why would, indeed why should, Mayweather do such a crazy thing, a number of fans asked whilst also laying into the article due to it being, well, dumb. There is of course a big possibility Canelo will engage with GGG for a third time next year and give us the rubber-match in that 160 pound rivalry, while “Money” will likely do his own thing (maybe face someone in Japan on New Year’s Eve, and then box that lucrative return with Pac-Man next spring). 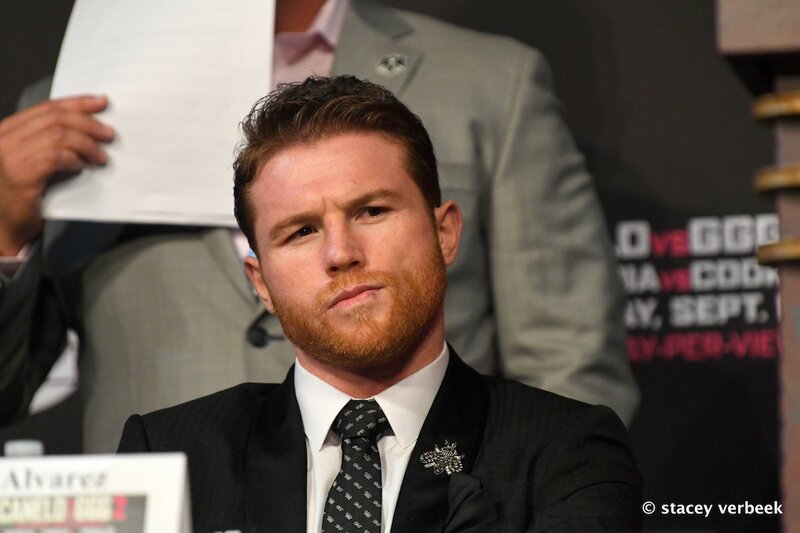 But which scenario would prove most enticing to fight fans – a decider between Canelo and Triple-G, or a sequel between Mayweather and Canelo? Which fight would YOU rather see? In boxing anything can happen, especially these days, and if there is huge interest (as in $100 million dollar interest) in a Mayweather-Canelo II, while at the same time a continued lukewarm response from fans towards a second Mayweather-Pacquiao tango (or waltz if you prefer) then who knows – maybe Mayweather will, as the saying goes today, ‘dare to be great,’ and go for the ultimate, as in the world middleweight crown. Mayweather has beaten Canelo before, and as great as he says, feels and believes he is (T.B.E and all that jive) why on earth would he have any doubts over being more than capable of seeing the Mexican off again? Canelo of course would have other ideas, seeing how he was a ‘mere boy’ back in 2013, and is now a man. And a fully-fledged middleweight at that. What do you think: is the notion of Mayweather coming back for a real fight, a real and competitive rematch, still a dumb idea? You are here: Home / Boxing News / Which Super-Fight Would You Rather See In 2019: Canelo Golovkin III or Mayweather Canelo II?